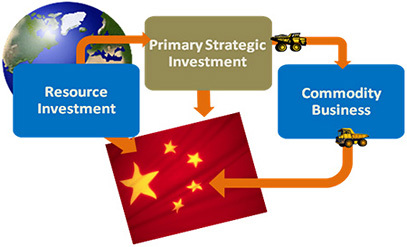 APAC’s Primary Strategic Investments are related to the growing demands from China. Our investment approach is to establish early positions with future winners in global markets and also to invest in cash flow producing assets in the natural resource sector. This in time will provide us off-take opportunities to distribute to China through our Commodity Business. Primary Strategic Investments include Mount Gibson (33.23%). 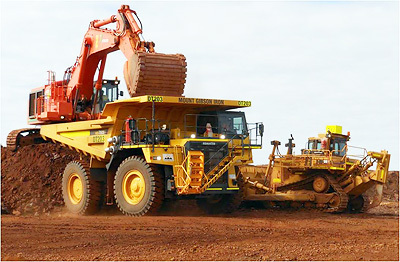 An ASX listed Australian producer of high quality direct shipping grade iron ore products, with assets in the Kimberley and Mid West regions of Western Australia. An ASX listed company. The principal business activity is gold exploration and currently its key project is 60% of the Central Tanami Project. The exploration potential of the entire Central Tanami Project tenement holdings is considered by the Company to be exceptional. Over and above the mineralised trends within the current Mineral Leases, the Exploration Licence areas host in excess of 90 strike kilometres of favourable host lithologies that have been subject to minimal historic deep sub-surface exploration. These areas are prospective for both high grade lode gold and bulk tonnage deposits and will be intensively explored in line with the Company's target ranking and prioritisation process.